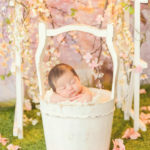 Newborn Baby Photographer Hollywood - Los Angeles based photo studio, The Pod Photography, specializing in maternity, newborn, baby, first birthday cake smash and family pictures. 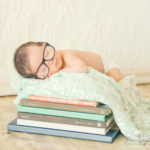 One of the most special things about being a newborn photographer is hearing each couple’s personal story about how they have expanded their family. 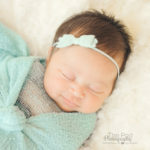 As a person who has gone through IVF – I know that everyone’s path is unique to them, and I also truly understand the desire to have a little baby who is yours even though nature doesn’t seem to be cooperating. 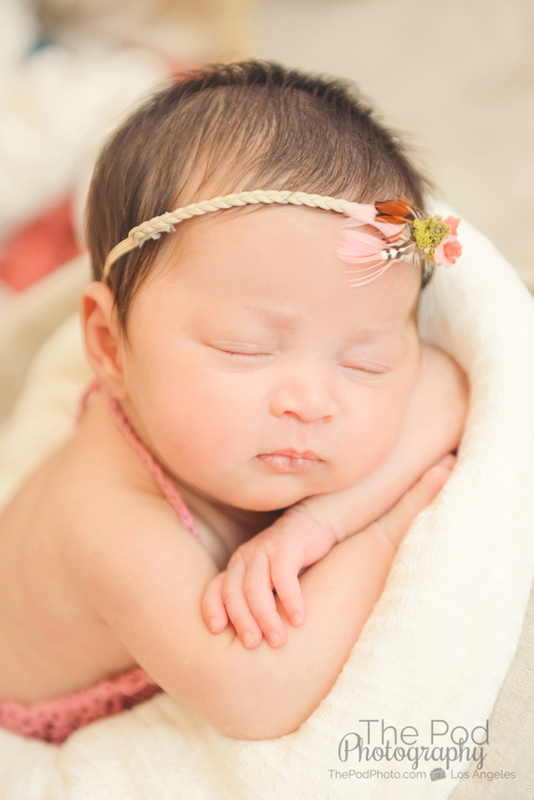 This lovely family lives in England – but traveled all the way to sunny California to fulfill their dream of having a baby. 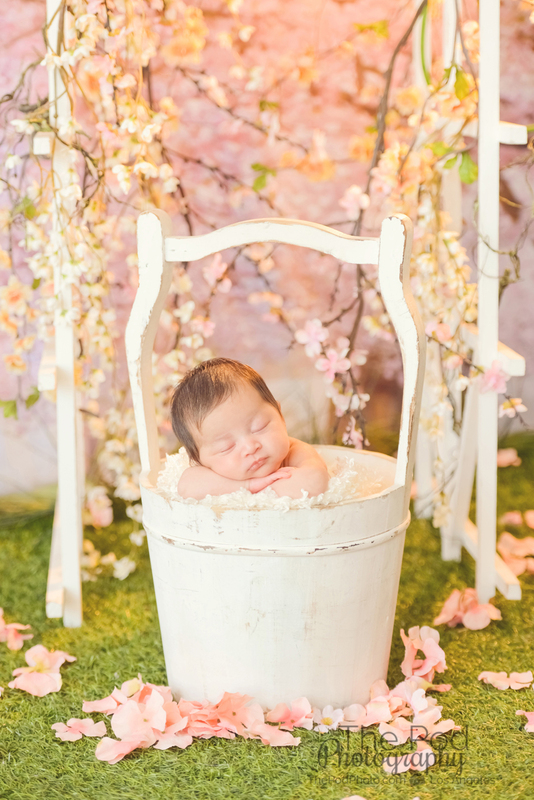 In this little girl’s photo shoot, we wanted to focus on whimsical sets, and stay away from too much pink. 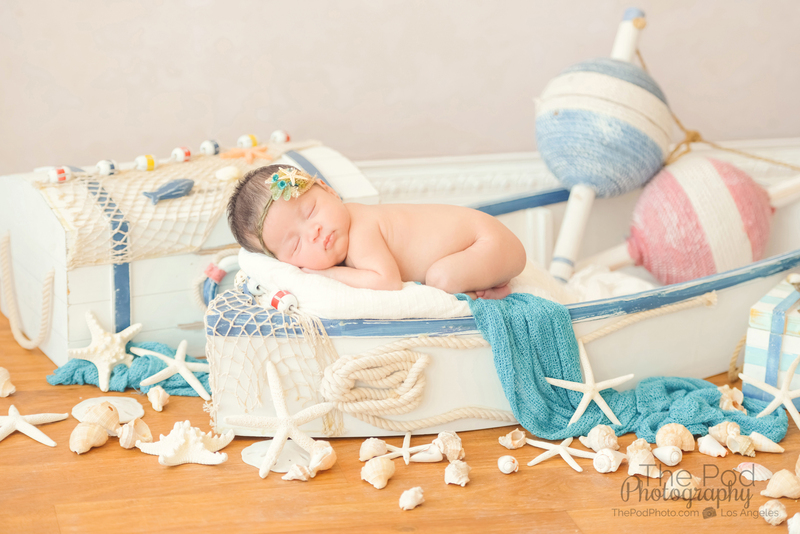 The family also wanted to have a little California inspiration in their newborn photo shoot to represent where this little lady was born. 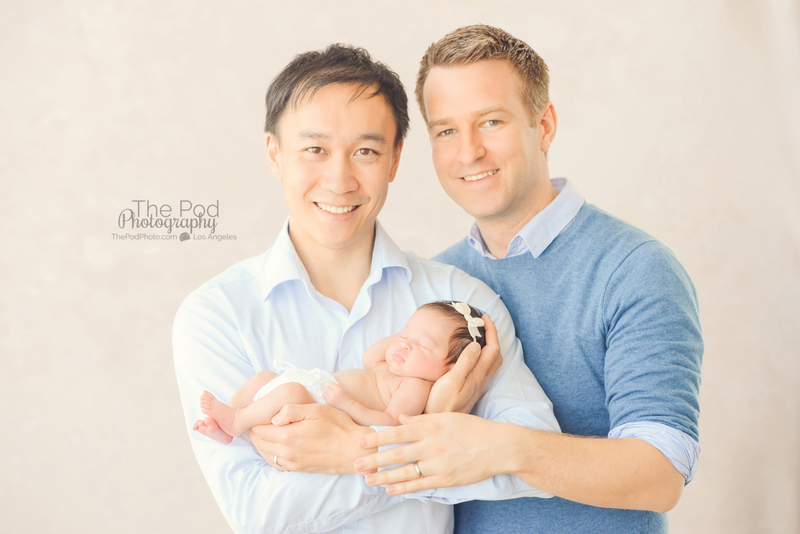 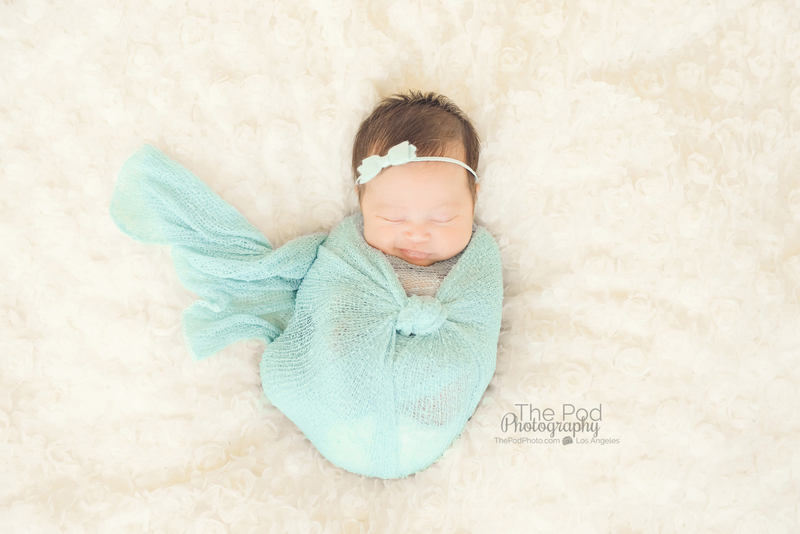 The first set we started with was a simple aqua swaddle – which is my favorite way to start a photo session. 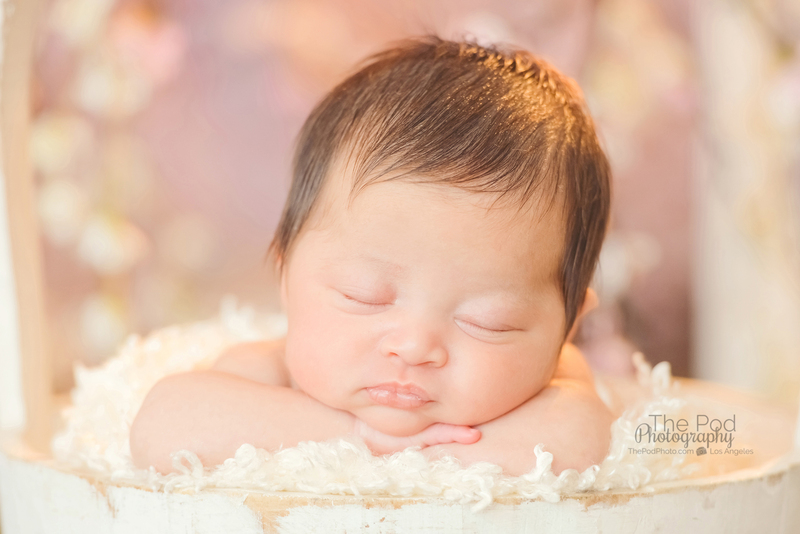 Babies typically eat as soon as they arrive to the studio and are a little groggy but not necessarily sleepy right after. 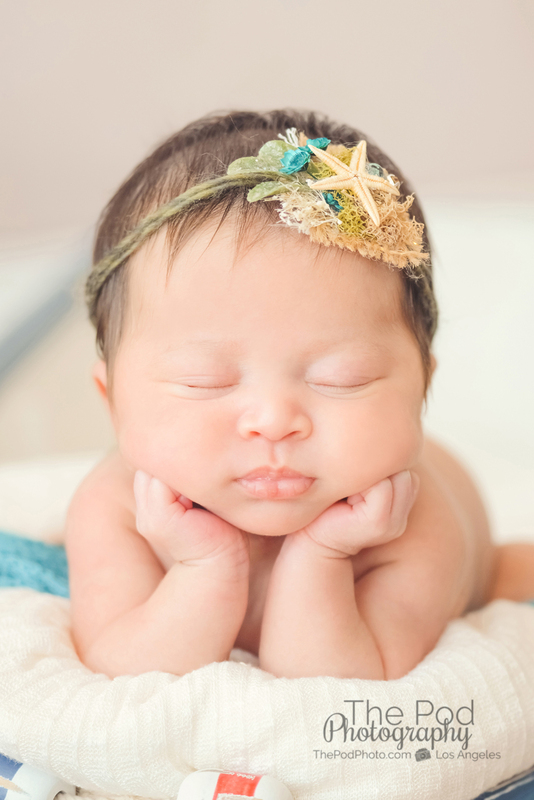 In order to capture those adorable newborn poses in my pictures, babies need to be deeply asleep. 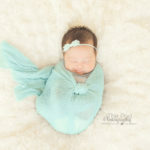 So, I like to swaddle babies tight during their first setup to make them feel comfy and fall asleep. 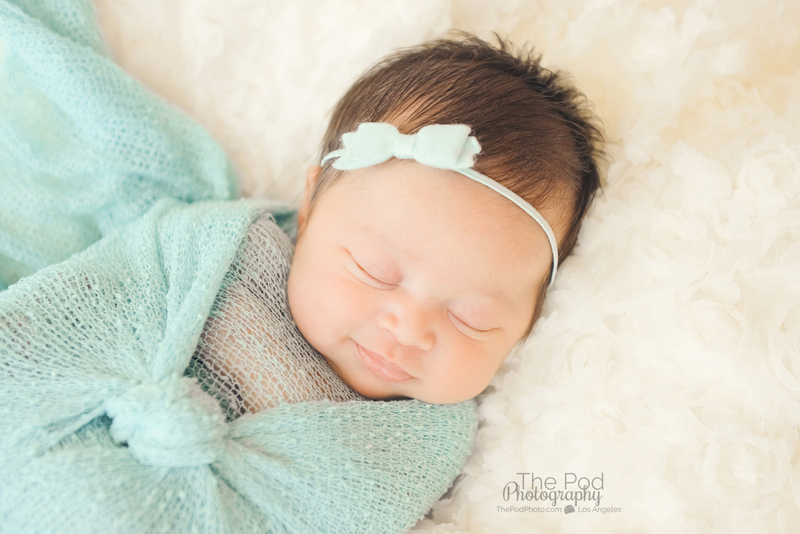 This little girl liked her swaddle so much she even gave us a big smile! 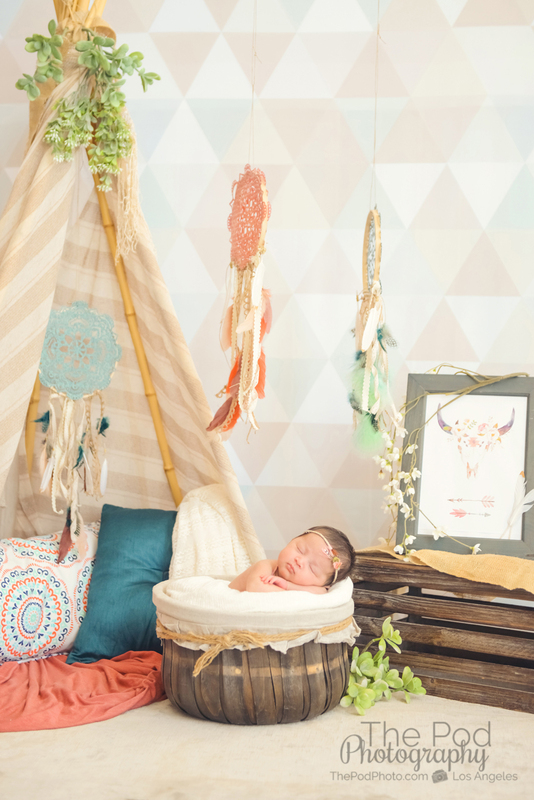 Next up was our Bohemian Spring Set. 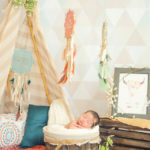 We build a new seasonal set at our newborn photography studio that services Hollywood, CA every three months. 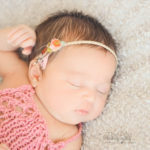 Many of our clients come back multiple times throughout their baby’s first year, and they love to have a set unique to the time of year. 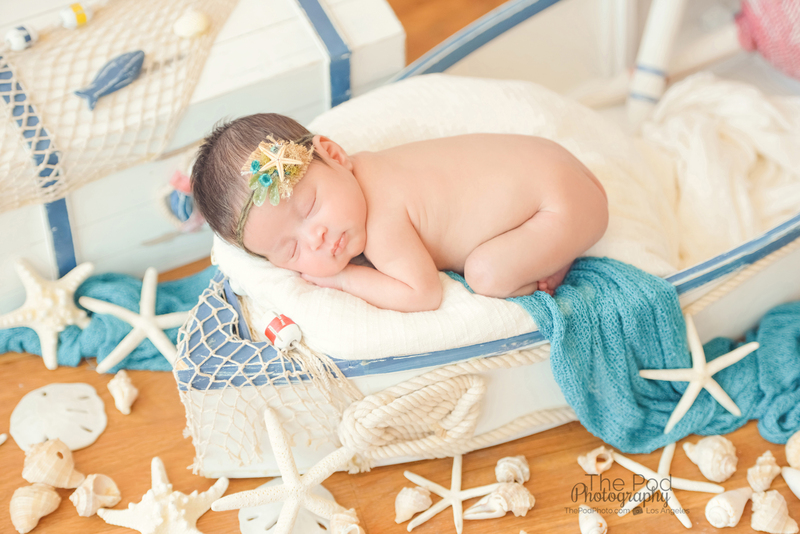 My absolute favorite set that we created for this baby girl was her nautical beach set. 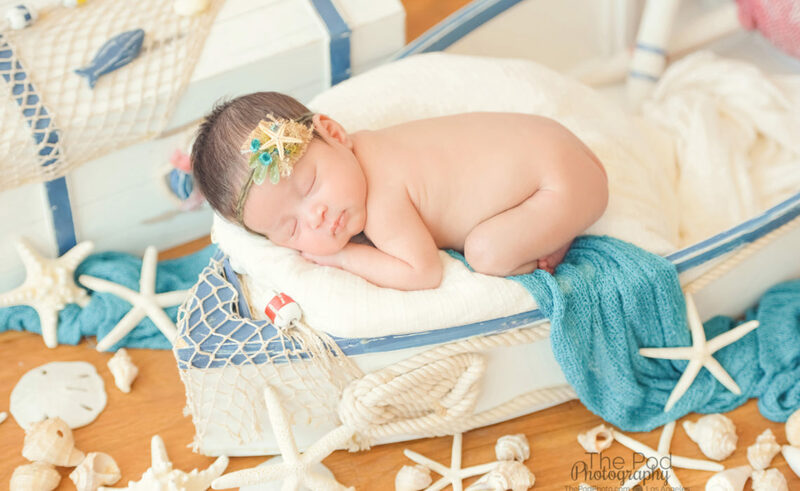 The colors, her starfish headband, her awesome poses – it all came together to create such an incredibly cute set of images! 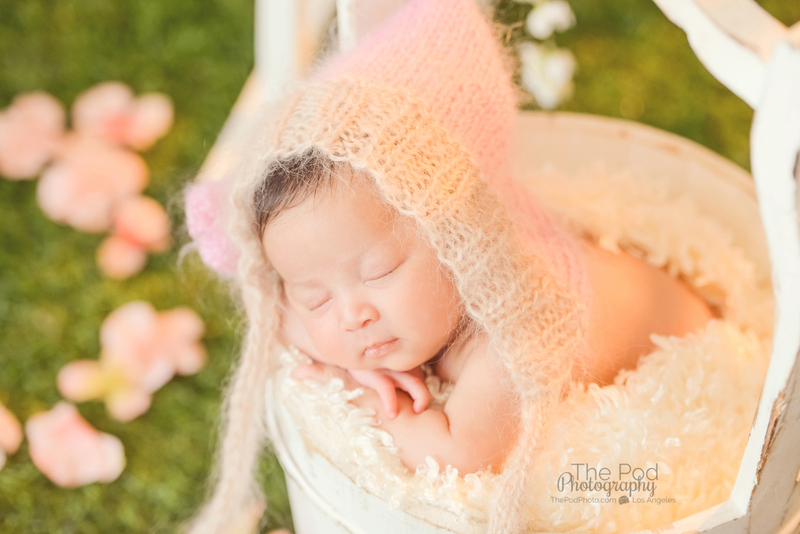 We would love to capture your family’s newborn pictures and document this special time in your lives! 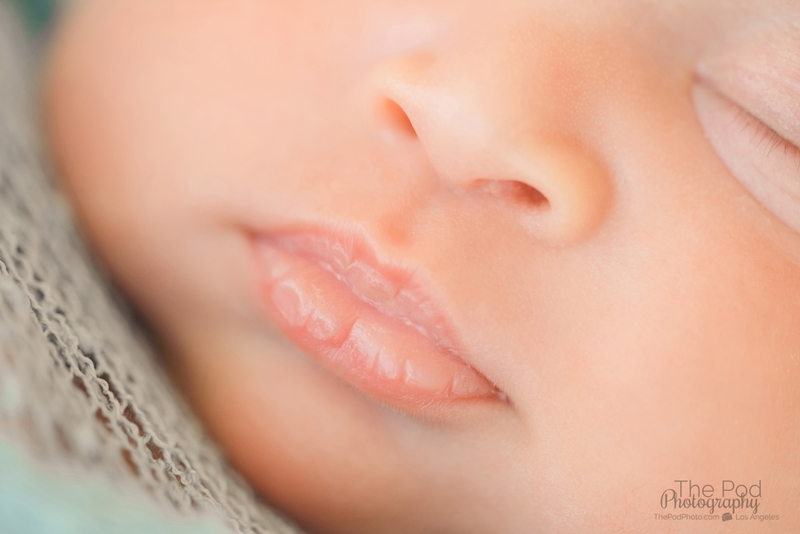 Visit our website and give us a call at 310-391-4500! 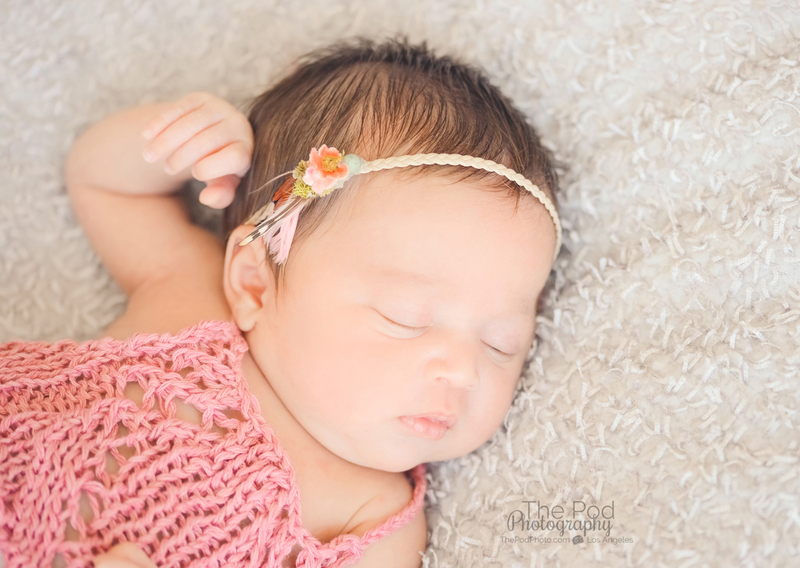 Our photo studio services the Hollywood and surrounding Los Angeles area. 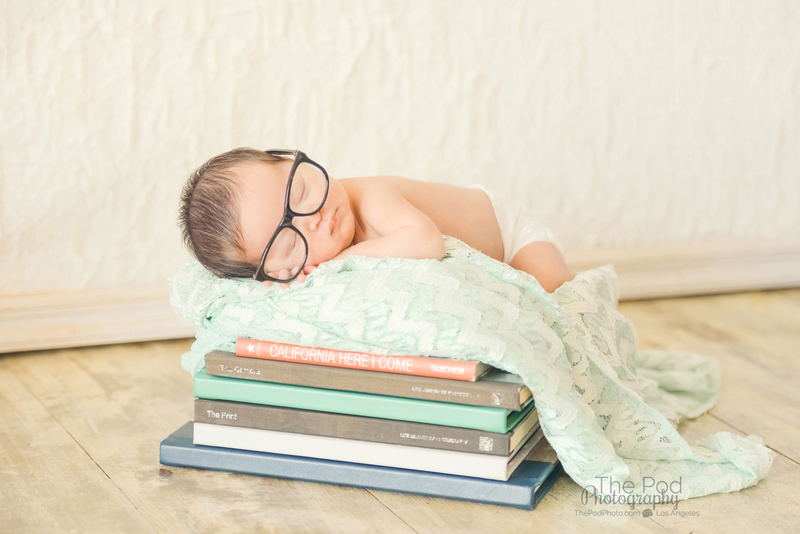 Mommy & Me Mini Sessions At The Best Portrait Studio In Los Angeles!